The Trullo can accommodate up to four persons comfortably. It has two bedrooms, one of which can easily be transformed into a sitting room, a bathroom, a living room and a small kitchen. Bed sheets, towels, etc. are available. The modest size of the kitchen has been optimised to be functional. The kitchen is equipped with hotplates, oven, fridge, boiler, coffee machine, mixer, etc. A washing machine and a freezer are available in an annex to the Trullo. When it is necessary, the Trullo is heated by pulsed air produced by a pellet stove. An internet connection (wifi) is available. We have deliberately chosen not to have TV and a swimming pool (the sea is very close). 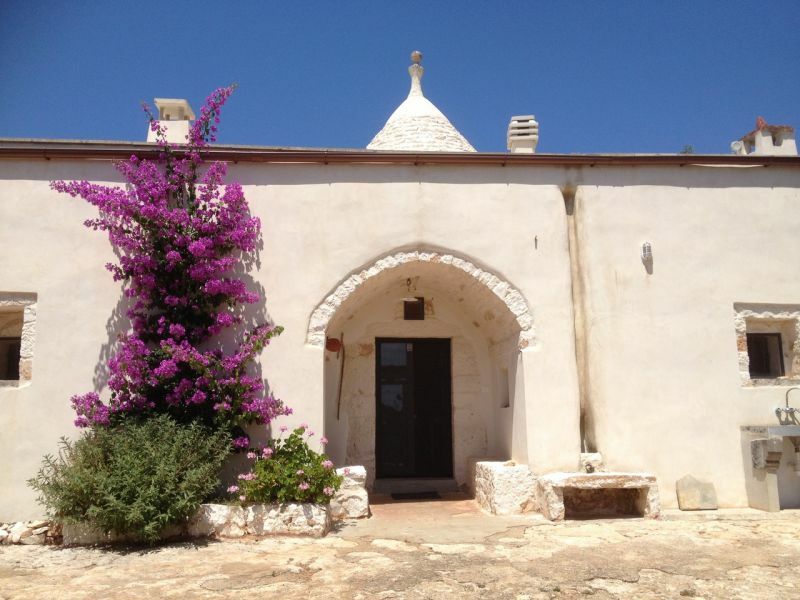 The Trullo is located in an olive grove of more than one hectare with multi-centennial trees. The land is at your disposal and includes many fruit trees. The closest beach is around 15 km away. The closest town, Ostuni, is about 5 km away and has all the shops you may need. The weekly market is just fabulous. The price includes the rent, the weekly change of sheets and towels, and cleaning at the end of your stay. A security deposit of €100 is requested.